If you are an avid reader of The Alternative Daily, you’ve probably seen some of the articles we’ve published on poop and what it should look like. What you eat over the course of your life directly affects what happens in your gut and therefore what your poop looks like. But what about your poop odor? Find out what it means about your gut health and how you can change it for good. Before we dive into poop odor, let’s talk about your poop’s appearance, which can provide clues into the state of your health. And because so many people are uncomfortable talking about their excrements, doctors have created a handy chart that allows their patients to point to what their poop looks like. This chart, called the Bristol Stool Chart, divides poop into seven types ranging from small, hard pellets to chronic diarrhea. Obviously, pellets are not desirable as they are an indicator of pretty severe dehydration while diarrhea means that your food is passing through your intestines too fast, likely due to an infection, leaky gut or a lazy gallbladder that doesn’t release enough bile to break down fats in the small intestine. Ideally, your poop should be around a “4” on the stool chart. It is sausage shaped and you shouldn’t have to push too hard to excrete it. What is normal poop odor? Now that we’ve got that out of the way, let’s talk about poop odor. A bowel movement doesn’t smell good and it doesn’t have to. Poop consists of undigested food, mucus, bacteria, dead cells and fiber. This combination just doesn’t smell very good. Plus, you have trillions of microorganisms living in your gut that produce sulfuric compounds, and those pass along with the feces to give poop its yucky smell. As long as it generally varies between a “3” and a “4” on the stool chart and you are able to go every day without any complication, you have nothing to worry about. It’s when the consistency and odor are out of whack, and your urge to go increases to several times or decreases to only a couple of days per week, that it may be time to see a physician. Because we don’t mind the smell of our own poop, we are usually pretty in tune with what smells normal and what doesn’t, even as others may be completely disgusted by our poop odor. 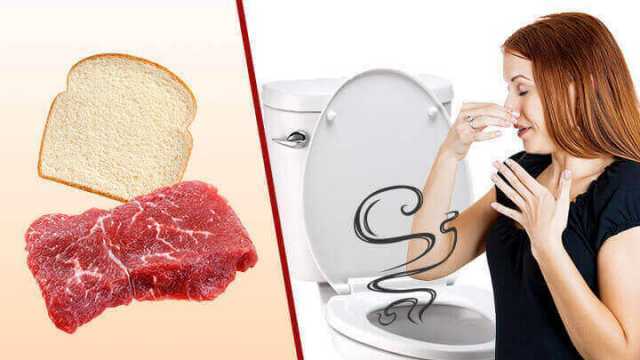 You may even notice a difference in your poop odor when you eat certain foods. Again, you’ll instinctively know if it’s a normal smell or not. But what happens when your poop odor is foul? It is likely not a problem if the normal color and odor return within a day or two. You probably caught a virus or experienced some food poisoning that resolved itself after the body rid itself of the bad bacteria. 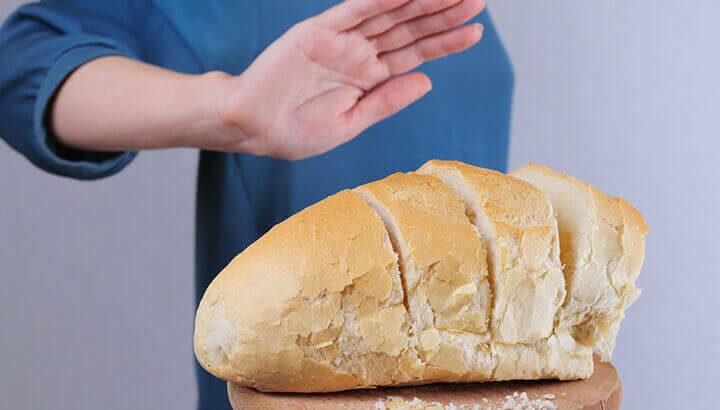 A foul poop odor could be a sign of a gluten intolerance. If your poop continues to smell foul and more than just a little unpleasant, it may be time to see a doctor to find out what is happening. A foul poop odor usually goes along with a more liquid consistency as well. Malabsorption is very common cause of foul-smelling poop. This malabsorption can be caused by a number of things like celiac disease, where the lining of the small intestine is sensitive to gluten and gets inflamed. This means that it is unable to absorb nutrients. Another cause can be inflammatory bowel disease like ulcerative colitis or Crohn’s disease. But you may also have an intolerance to carbohydrates or suffer from food allergies. Viruses, parasites or bacteria like salmonella or e. coli can cause gastroenteritis, an inflammation of the stomach and colon. Usually, this inflammation leads to cramps in the digestive tract and the result can be foul smelling and runny poop. Antibiotics or supplements can negatively impact poop odor. A common reason for smelly poop is an out of whack gut flora after a course of antibiotics. This can usually be treated easily by making some dietary changes and using probiotics (kombucha, kimchi, yogurt) to build up that healthy gut flora again. Another thing to look out for is overdosing on supplements, specifically vitamins A, D, E and K — basically, all the fat soluble vitamins. Taking more than the recommended dose may lead to smelly diarrhea and could be dangerous. 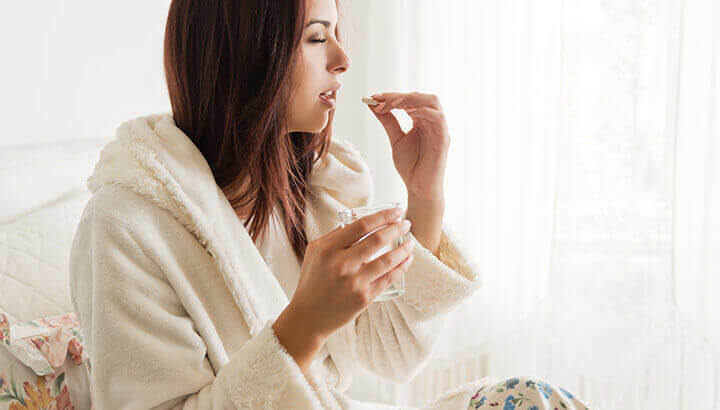 If you experience painful and smelly diarrhea after taking a high dose of any of these vitamins, a trip to urgent care or the emergency room may be in order. Along with smell or runny stool, if any of the following symptoms occur for more than a couple of days, please seek the advice of a healthcare practitioner: unintentional weight loss, nausea, fever, vomiting, flatulence, black or pale stool, abdominal pain, chills or blood in your stool. Your doctor will ask you questions on the consistency and odor of your poop, so don’t be ashamed to talk about it. The more precise you can describe your poop odor and appearance, the easier it will be for your doctor to figure out the next steps. 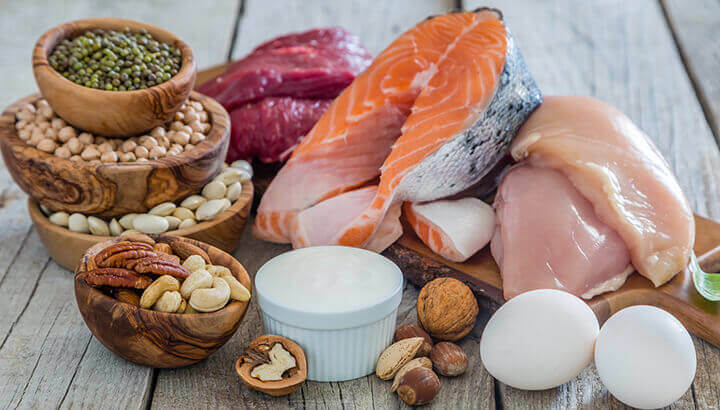 To keep poop odor in check, eat a diet of lean protein and healthy fats. A diet high in vegetables, quality protein and healthy fats is essential for optimal gut health. In turn, this translates to healthy poop that smells “normal” as described above. If you find your digestion and poop could use a little extra help and healing, it is likely a good idea to see a nutritionist or alternative health care professional who can advise you on gut-healing protocols to go with your good diet. Often, small tweaks to the diet to aid digestion may be all you need to heal your gut. Your practitioner may also encourage the addition of some fermented foods or other supplements to support gut healing. If none of these things do the trick, make sure to get tested for food intolerances or allergies, and go from there. Hey Buddy!, I found this information for you: "What Your Poop Odor Means". Here is the website link: https://www.thealternativedaily.com/what-your-poop-odor-means/. Thank you.